G F Tomlinson are a family owned regional construction contractor based in Derby and have a particularly strong presence in Nottingham and the surrounding area. We very much see our employees, supply chain and clients as the most important ingredients to our continued success. Our inherent versatility ensures we can deliver a high quality construction service to our Clients in both the public and private sectors, demonstrating our expertise in new build, refurbishment and restoration. 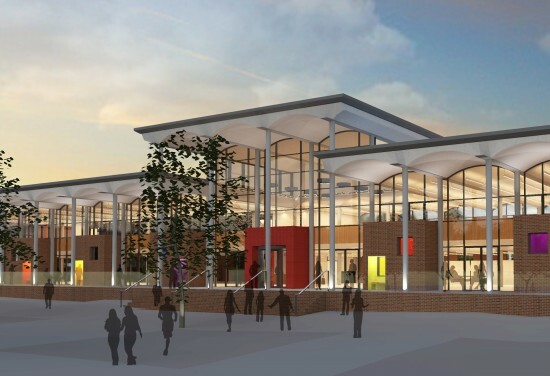 With an annual turnover of £105m, the Company’s portfolio includes projects from within the Education, Commercial, Healthcare, Leisure, Retail, Civic, Waste and Industrial sectors ranging up to £25m in value. We operate within a collaborative culture based around trust and reliability to deliver high quality, value for money solutions to our clients. We are committed to improving local spend and employment within the communities we work and it is our policy to source materials and specialist trades from our long-established local supply chain, which is always open to new entrants. We take time to engage with all stakeholders on our projects to provide added value and community benefits to the areas we are working in. Our clients in the Nottingham area include Local Authorities, Universities, Colleges, NHS Trusts and private sector clients. We are also involved in regional frameworks including the East Midlands Property Alliance (empaii) and the recently announced Education Funding Agency (EFA) Regional Framework for the East of England region. G F Tomlinson’s dedicated project team were professional and efficient throughout and I have been very impressed with their ongoing communication. Overall, working with the team from G F Tomlinson has always been a very positive experience and I would have no hesitation in recommending them to other potential clients.